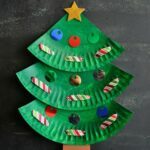 Elves are popular characters during the holiday season so it’s always fun to get out the crafting materials and make an adorable elf craft with the kids before Christmas. 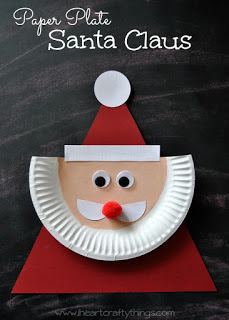 We actually put together this cute paper plate elf craft last year after making our similar Santa Claus craft, but since I didn’t get a chance to share it last year before Christmas, I saved it all year and am excited to share it now. 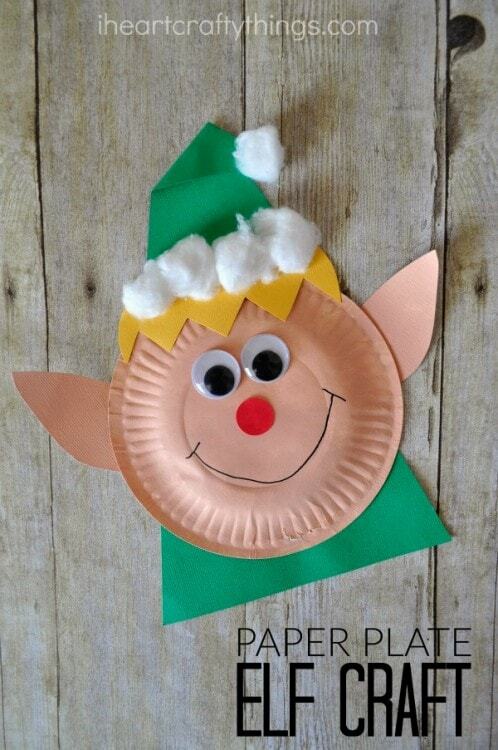 Couple this adorable elf craft with a Christmas book for an evening full of family fun! 1. Start by painting your small paper plate and part of your white cardstock paper with your skin tone paint. You’ll only need to paint enough for elf ears on your white construction paper. Set the pieces aside to dry completely. 2. While your paint is drying, cut out a long skinny triangle out of your green cardstock paper. 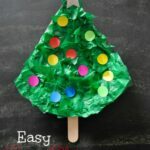 You’ll want to use the entire length of your green cardstock paper to make your triangle. Fold down the tip of the triangle to look like a Christmas hat. 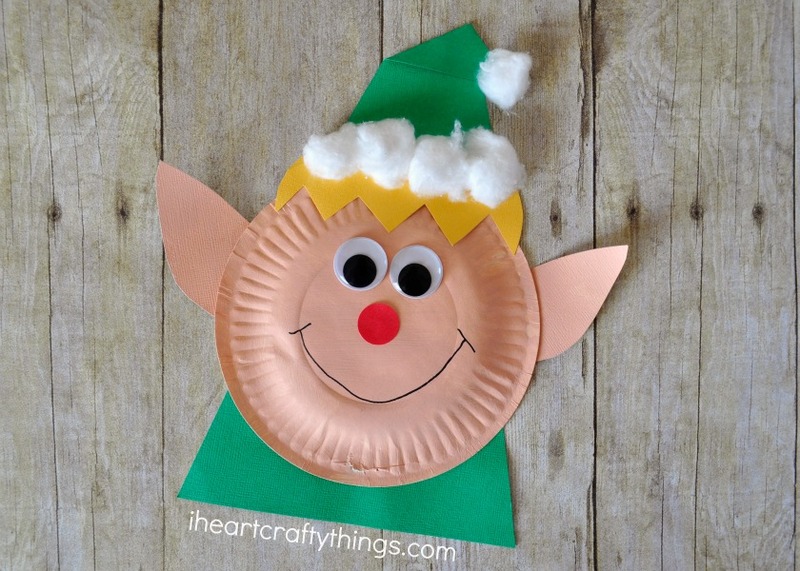 Also, cut out elf hair from your yellow cardstock paper, or choose any color you want for your hair. I made a boy elf but you could obviously choose a boy or girl. 3. Once your paint is dry, cut pointy ears out of your painted cardstock paper and glue them onto the sides of your small paper plate. 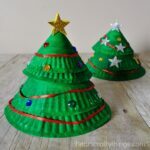 Put glue at the top and bottom rim of your paper plate and glue it onto your green triangle. 4. Glue the elf hair at the top of the small paper plate. Then glue a line of cotton balls at the top of the hair and one at the end of the hat. 5. 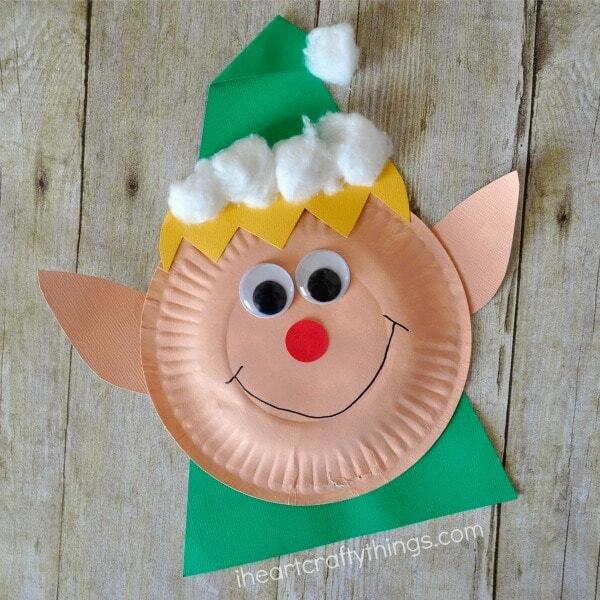 Finish your paper plate elf craft by gluing googly on his face, adding your red circle sticker for his nose (or a circle cut out of construction paper) and draw a big smile on his face with your black marker.